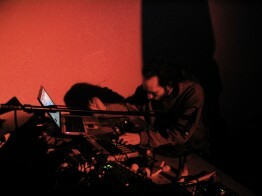 After one self-produced cd in 2004, he started to release his music on various netlabels as Zymogen or Test Tube. Beside he pratice free improvisation, using laptop, live treatments and various objects & contakts mic, collaborating with few electronic or acoustic musicians. Diatribes (open trio or more, close to freejazz, with drummer Cyril Bondi and guest) is his main improvised project. d’incise play also a solo live act, closer of electronica, where he operate fluctuations suites of rythmic pulsions, simple melodies and noise waves for a destroyed dancefloor. He coordinate the Insubordinations netlabel, dedicate to improvised music.